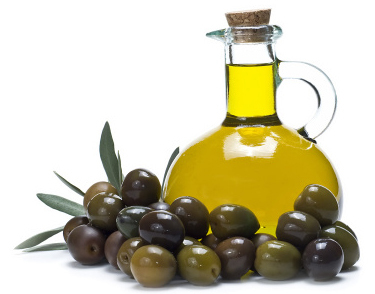 Natural oils and fats are an important substance for the body and brain. Healthy fats and oils are best sourced from eating whole natural foods as opposed to getting them from bottled oil products. Eating fat foods in their original form (whole fruits) ensures that they go into the body ‘complete’ with all their associated natural substances intact and unaltered. These all help the body to absorb, digest and assimilate the oil fat properties. Isolated bottled oil products are not the same. 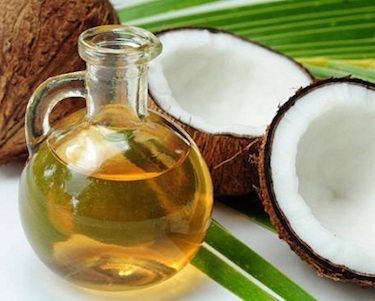 You can use good natural healthy saturated fat oils to push out the bad oils in the body. And overweight people can use good fats to replace the bad fats in their body in this way too. Chole-sterol is an antioxidant and anti-fatty acid that protects against cancer and heart disease. It is manufactured by many cells in the body, not just the liver. It’s place is in the cells and only becomes a problem, in the arteries for example, when it moves from the cells into the blood. Bad oils in the body help to create this problem too. Cholesterol, both LDL and HDL are not the villain and it is more about having the right cholesterol in the right place rather than lowering it. If you don’t change your oil regularly, cholesterol can oxidize and fats can go rancid in the body. Dandruff is an example of a rancid oil in the body. Interestingly, a little exposure to the midday sun helps regulate our cholesterol and sweet fruits, particularly oranges, increase the production of good cholesterol, as do eggs. When an oil is extracted from a fruit or plant it is separated from the other compounds in that fruit that would help with the digestion and absorption of the oil fat. It is not exactly the same now, being refined. The further processing of the extracted oil will also have an effect on how usable it remains. When heated for example, some oils are altered chemically. Certain oils are more delicate than others and don’t last well when taken out of their natural bound state in the whole food. Many bottled oils are blended and mixed with other cheaper oils and are no longer 100% pure from the original extract. Bottled oils should be stored in glass, and of a dark colour as oils are affected by exposure to light and will degrade over time. Oils should not be overheated as this alters them to become toxic in the body. Bottled oils are second best to first generation fat oils from the original fruit or plant and are vulnerable to being degraded further. our body at all which was known a long time ago. oils and can be made even worse by overheating them. One of the most damaging things for health and aging is putting bad oils, rancid or chemically altered oils, into the body. be heated to a high degree without altering it making it ideal for cooking with. • Durian – a strong tasting fruit so can also be blended into a fruit smoothie. • Nuts have good oils in them too and go very well with fruits in the morning. • Butter and cream – both very good fats. Butter can be used liberally throughout the day. Clarified butter (the yellow butter fat) takes the cholesterol that hardens and is damaging in the body and removes it as the ‘yellow butter fat’ is good lubricatory cholesterol. It is the white factor of normal butter that causes trouble. When u clarify butter by making ghee you take out the bad cholesterol (hardening cholesterol) or ‘white fat’. Butter/Ghee is a food that can be eaten at any time of day and can be heated to a high temperature without altering it which makes it ideal for cooking with. It is simple to make by melting butter and separating the yellow fat from the white fat. Ghee has a long history of use in India. By getting your fats and oils from nature directly and unaltered it is hard to go wrong and this will protect you from the potentially damaging effects of bad or altered oils.